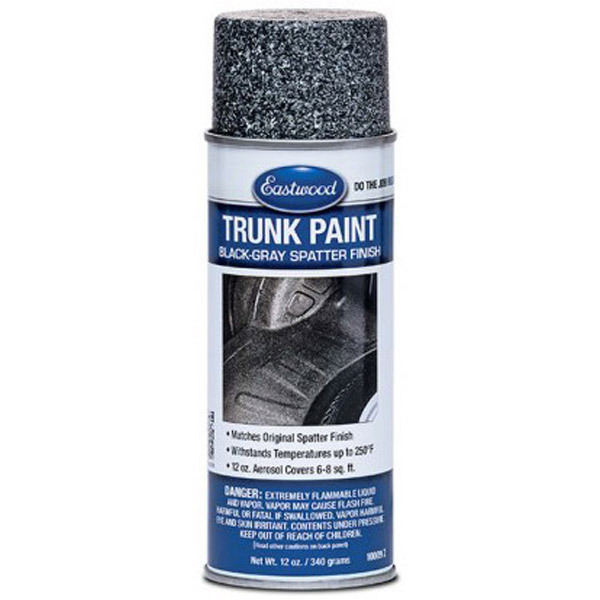 While we may not know for sure why car manufacturers specifically use a multi-color spatter paint to paint the metal in vehicle trunks, we do know that when you're restoring a car, you want every part to look authentic. 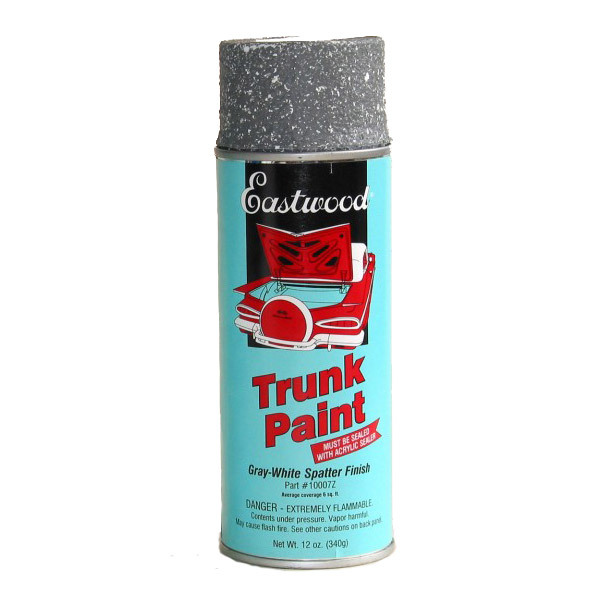 Our trunk spatter paint creates that genuine spatter look, and it's available in black and white, black and aqua, gray and black, and gray and white color combinations. 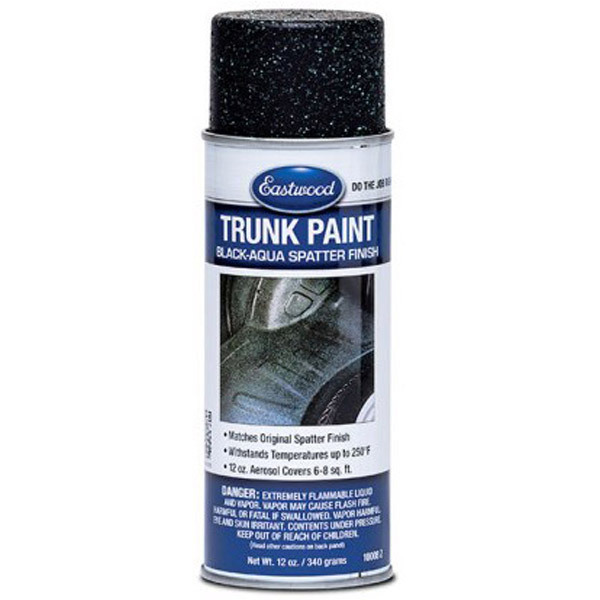 Our trunk paint's water- and solvent-based pigments combine to exactly duplicate the speckled finish and color schemes of OEM trunk interiors. 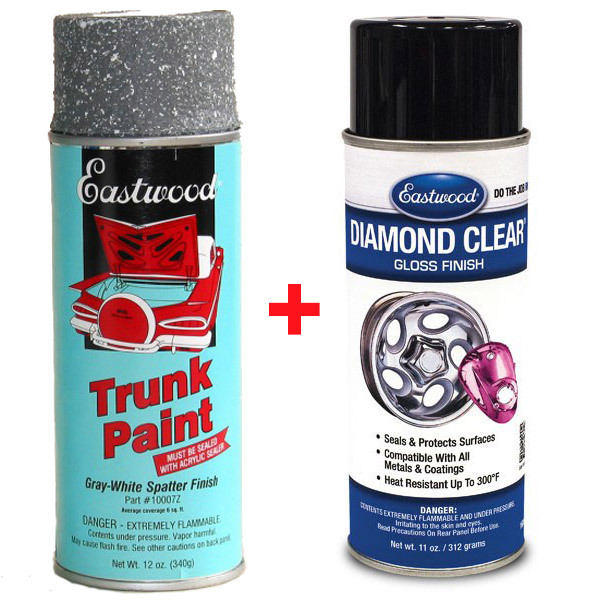 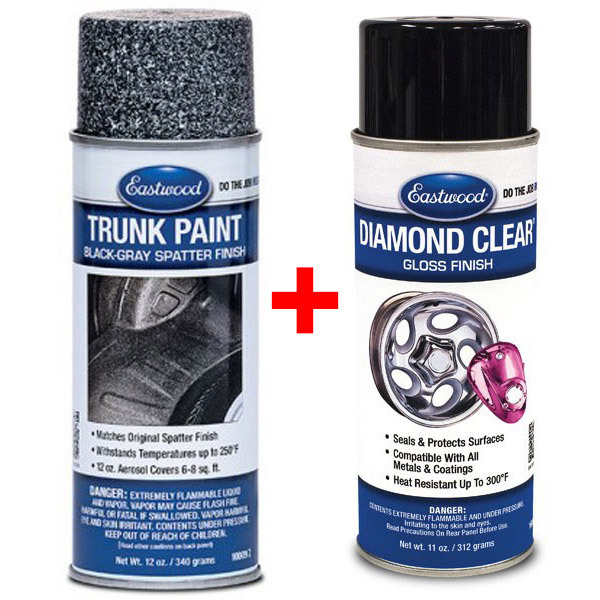 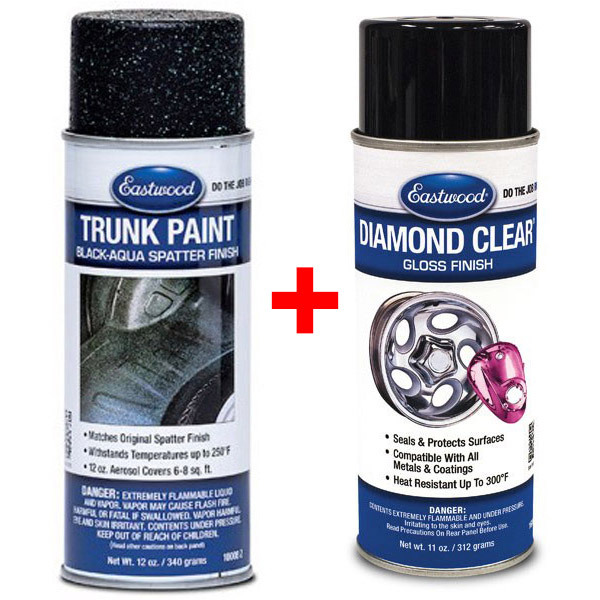 Not only does it match, but this paint for your trunk also withstands up to 200 degreesF.